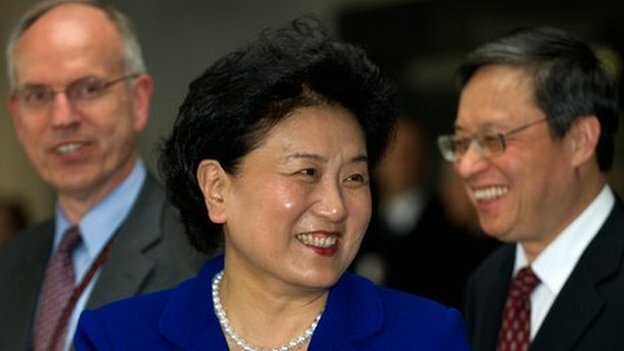 A Chinese consulate is to be set up in Belfast, a junior minister has confirmed. Jonathan Bell told Good Morning Ulster that the country will open its first office in Northern Ireland. It follows a visit from a high-ranking politician in China's Communist Party in 2012, Madame Liu Yandong. Mr Bell said the move was "good news for Northern Ireland" and highlighted the developing links between the two countries. "This means a lot for Northern Ireland for a number of reasons - economically, educationally, for attracting investment and trade and for bringing Chinese foreign direct investment into Northern Ireland," he said. "We are on an encouraging upward trajectory from China into Northern Ireland, not only in education in our universities and through the Confucius classrooms in our schools. "If we take a look at just trade and exporting alone, we had a good year in 2010/2011. We exported £112m worth of goods to China. "I'm delighted to say year-on-year from that point we've increased that and in 2013/2014, we exported £220m worth of goods into China." The junior first minister added that the agri-food, chemical, technology and software industries would all benefit from the increased trade links between the countries.